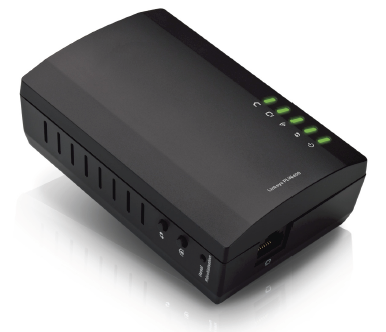 The PLW400 is a Powerline AV Wireless Network Extender that turns your home’s wiring into a network of digital devices. It features one (1) Ethernet port where you can connect a router, computer, or other network device. It also has a wireless access point function that lets you connect several wireless devices to it. HomePlug Simple Connect button – Configures advanced security (the network password) for your Powerline network. Power Switch – Turn the PLW400 ON or OFF.